ESO Supernova Exhibition — How do astronomers "untwinkle" the stars? How do astronomers "untwinkle" the stars? Turbulence in the air causes starlight to twinkle. To get rid of the effect, astronomers measure air turbulence and correct for it with deformable mirrors – a technique known as adaptive optics. Laser power: A technician tunes a powerful sodium laser that will create an artificial guide star to sense atmospheric turbulence. 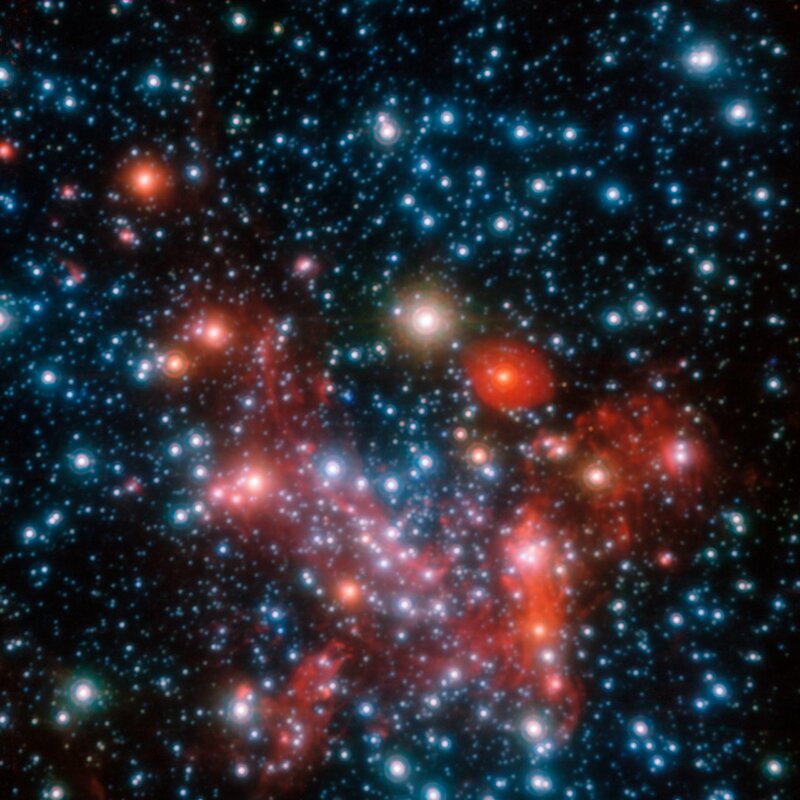 20-20 vision: Adaptive optics systems enable astronomers to resolve individual stars in the centre of the Milky Way, at a distance of 26 000 light-years. No matter how perfect a telescope mirror is, images of stars look blurry because of the turbulent motion of the air in the atmosphere. Adaptive optics solves this problem. It can use an artificial guide star created by a powerful laser, which excites sodium atoms at an altitude of around 90 kilometres. 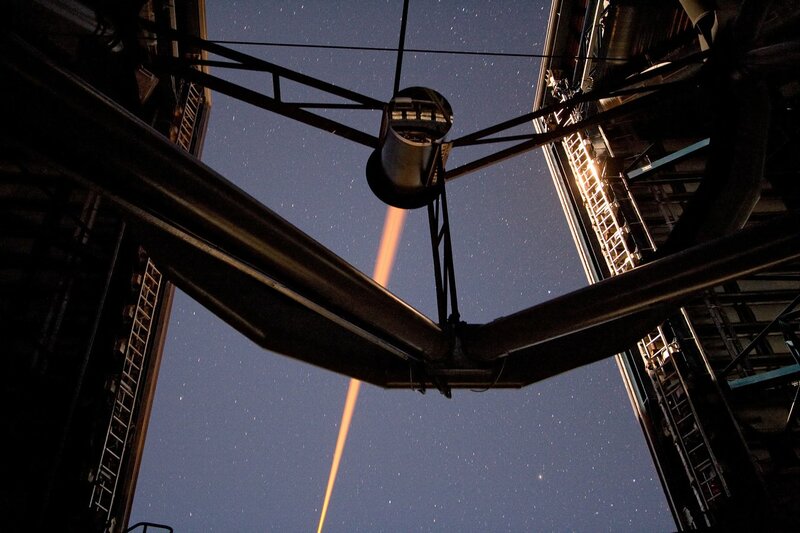 The laser guide star’s light is analysed about 1000 times per second. A deformable mirror in the telescope’s light path is then made to rapidly change its shape in such a way that the effect of atmospheric turbulence is compensated for. The result is an incredibly sharp image. Star wars: A laser beam propagates out of the fourth Unit Telescope of ESO’s Very Large Telescope in Chile, to create an artificial star. Have you ever seen the stars twinkle? It’s because the air above our heads is constantly moving. Twinkling stars look nice, but it’s not good for doing science. That’s why astronomers use adaptive optics to “untwinkle” them.